This week we’ve got some really nice new things to share with you, including a new vendor or two, as well as info on a couple of our most popular workshops coming up soon. Take a few minutes in between basking in the sweet sunshine and taking your first brisk walks of the year to take a look, and come visit us soon! 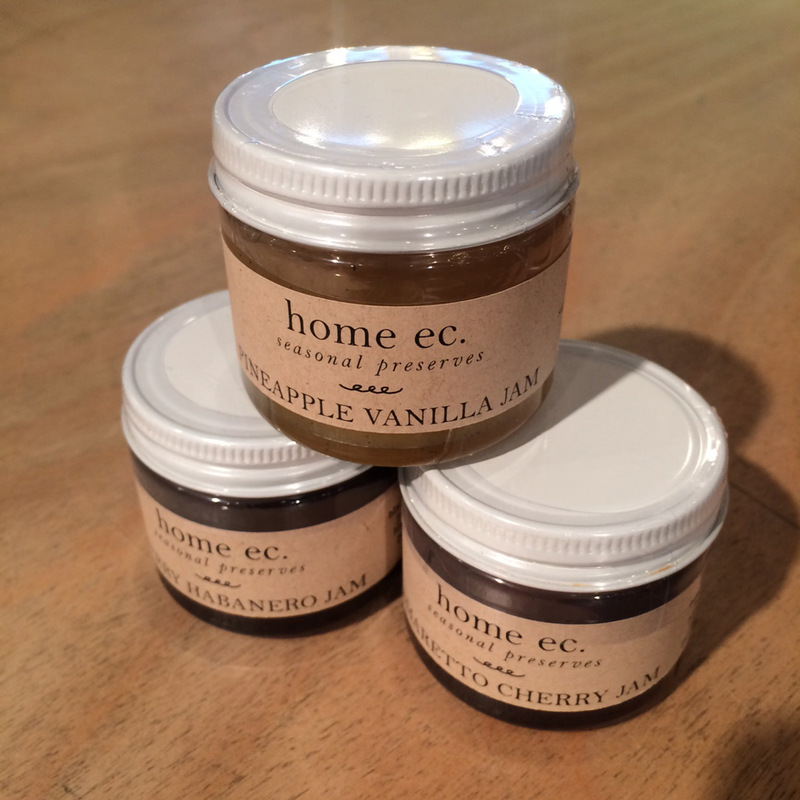 New stock and flavors from home ec. Locally made seasonal preserves! 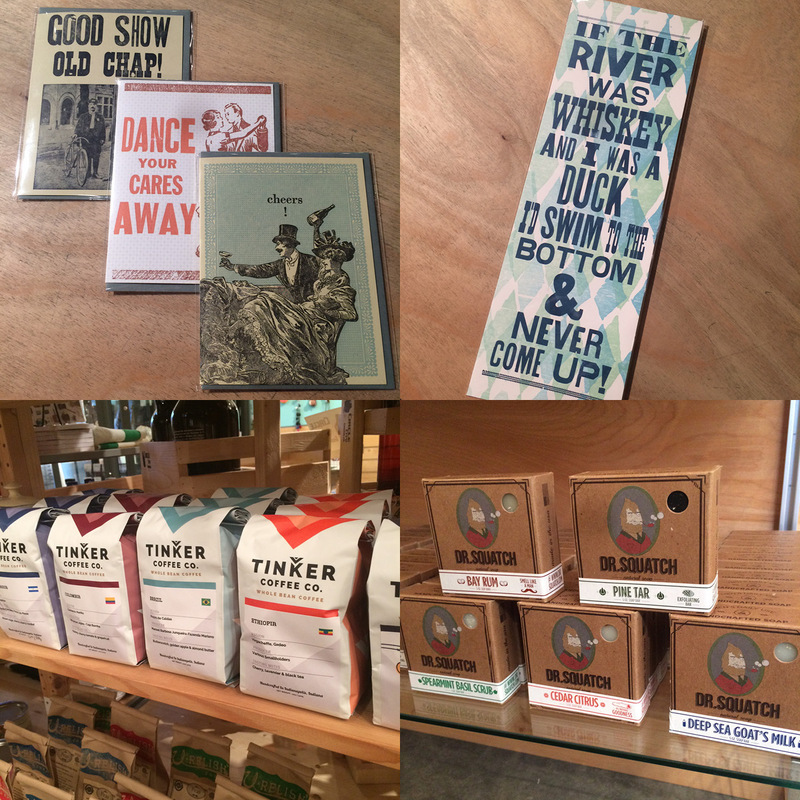 Just A Jar has sent us new cards and prints, Dr. Squatch Soap Co. restock in all their manly scents, and lots more Tinker Coffee! 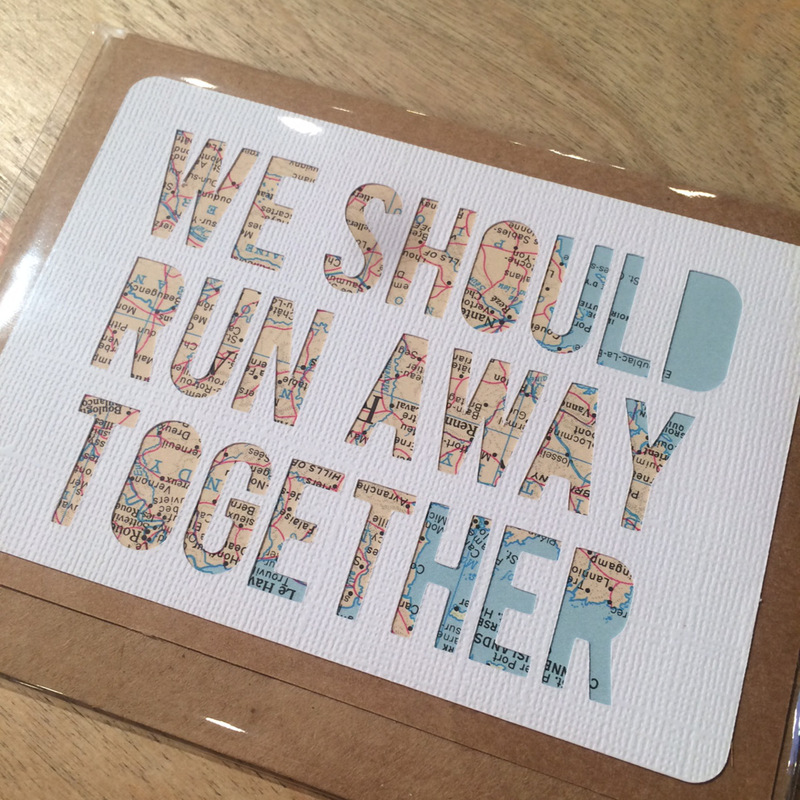 Brand new vendor Type Shy brought us these cut paper prints and cards. They are SO adorable. OMG. 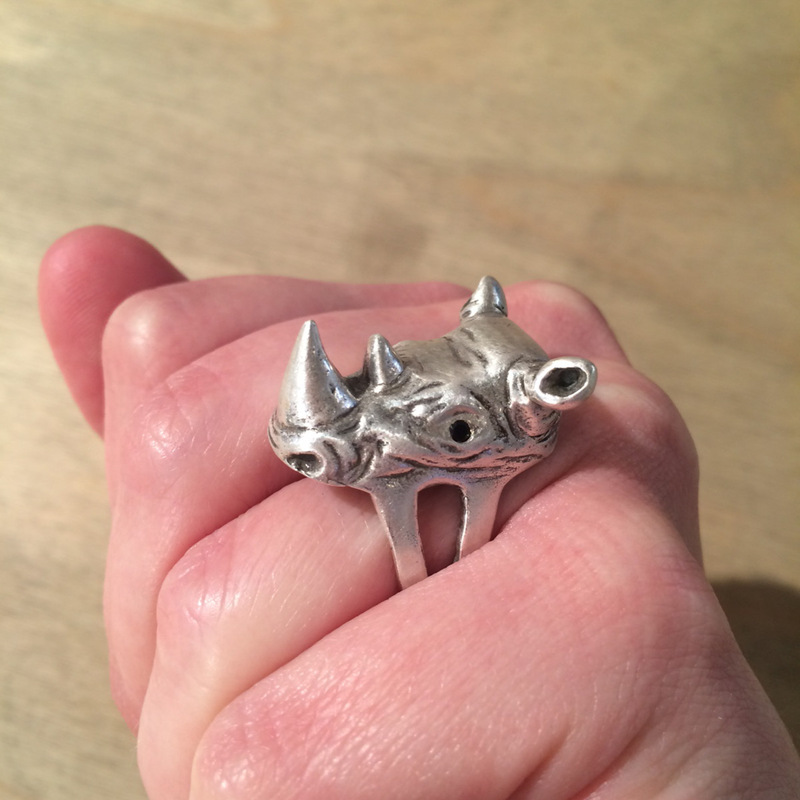 This jewelry is nuts. 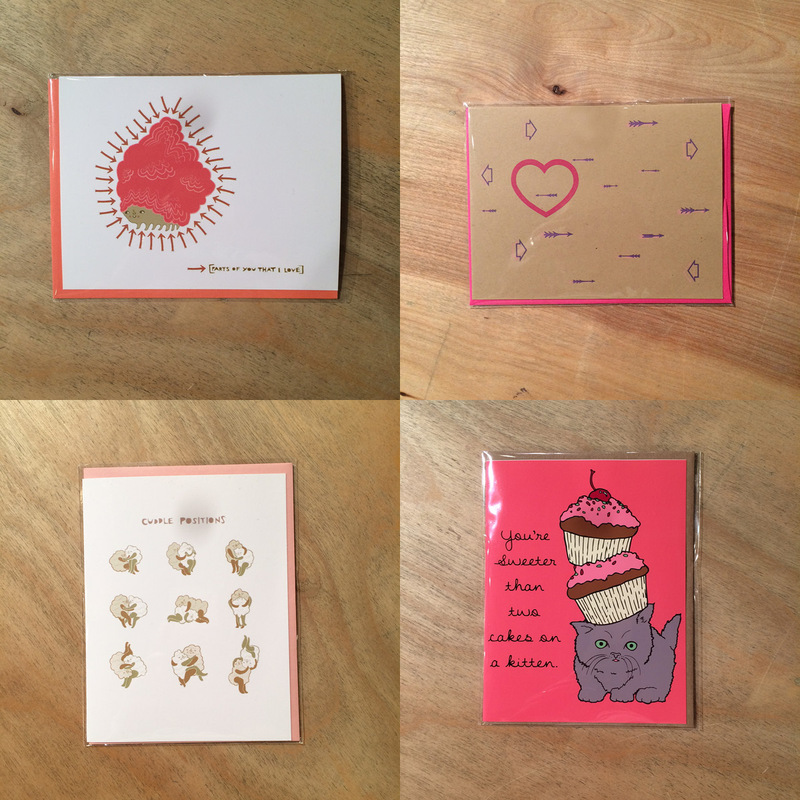 Come check out the whole collection from new vendor J. Topolski. Loooots more from Aromi. IT. SMELLS. WONDERFUL. 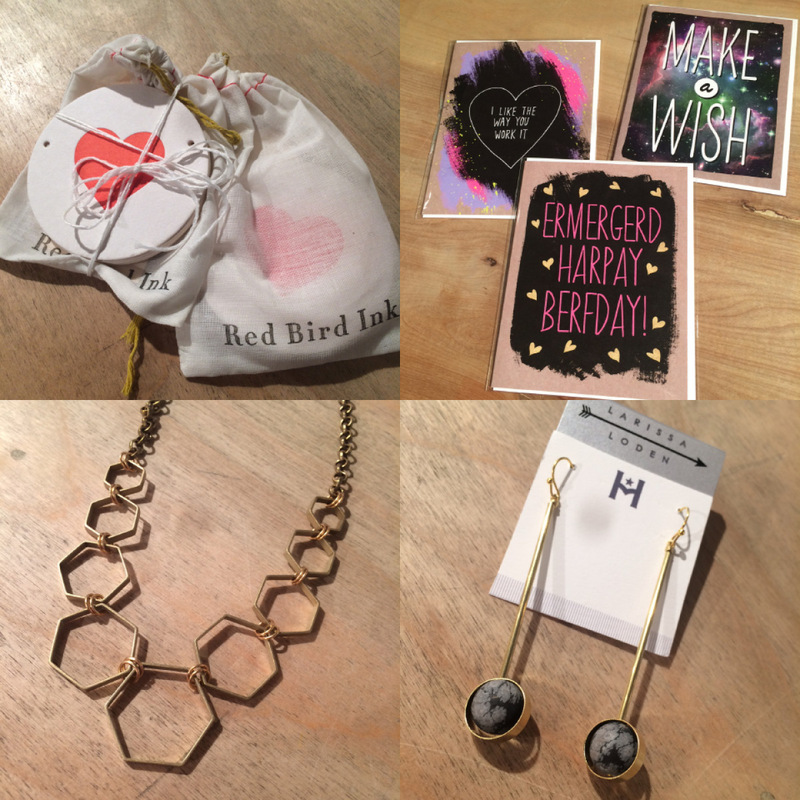 Workshop: How to Run an Etsy Shop: Saturday, February 27th: 1-4pm: re you a new maker, wondering how to get started in the world of online sales? 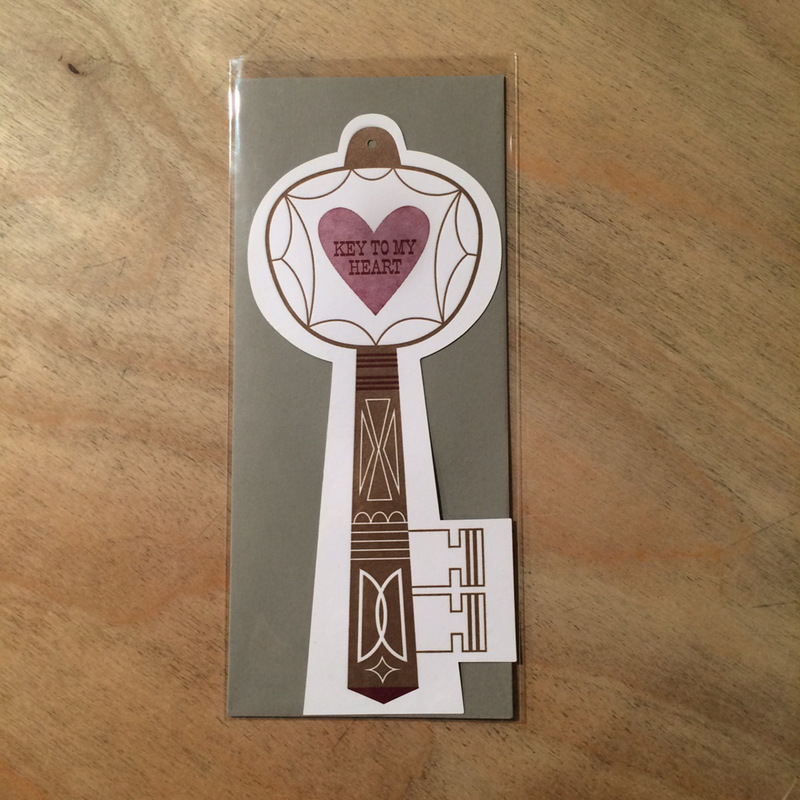 Or, do you already have an Etsy store that you’re ready to take to the next level? Tamara Hoffbauer of Decorative Design Works will be hosting this Etsy Success workshop on Saturday, February 27th for both beginner and intermediate Etsy sellers, as well as those who do not yet have an Etsy shop. Her goal is to provide Etsy sellers with tools and tips to set them on the path to business success. Topics covered include best practices, pricing, presentation, crafting the ideal listing, SEO explained, research tools, time-saving techniques, and more. A complete workbook is provided with the class along with worksheets and templates. No special materials are required – just bring pen and paper and the desire to take your Etsy business to the next level! First Friday Celebration: Friday, March 4th, 6-9pm: For the months of March and April, the work of Grace Beck will be displayed in our gallery space. Grace is a graduate of Herron School of Art and Design, where she is currently employed as the sculpture technician. Her drawings will be on display and for sale in our store. Workshop: iPhoneography: Sunday, March 6th, 2-4pm: If 2016 is your year to learn a new skill, we’ve got the perfect opportunity. Learn how to utilize your iPhone’s camera features to their maximum potential in this iPhoneography workshop with Rana Salame, our product photographer extraordinaire. Students will learn basic photography techniques like composition and lighting as well as how to use effects to enhance images. Participants will edit photos in the VSCO Cam app to make images more creative and visually appealing. Once skills have been covered, the group will hit the streets of Mass Ave to test out newly acquired techniques. A roundtable discussion will follow to study images and next steps to continue snapping like a pro. When was the last time you really cared for your feet? Or even thought about them, really? 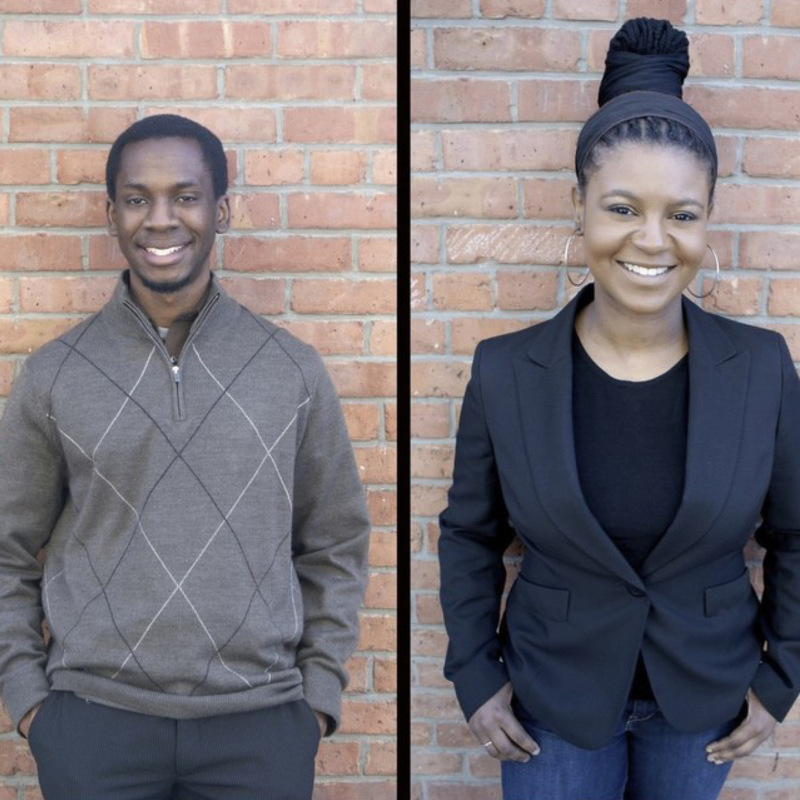 For this edition of Meet Your Maker, we’re talking to Dr. Quinton Yeldell and Krystle Ford, the owners and makers behind Southern Hospitality, a skin care line focused on foot care. They talk to us about what they do, how they do it, and why you should take the luxury of a nice foot soak seriously. 1| How do you describe your work? 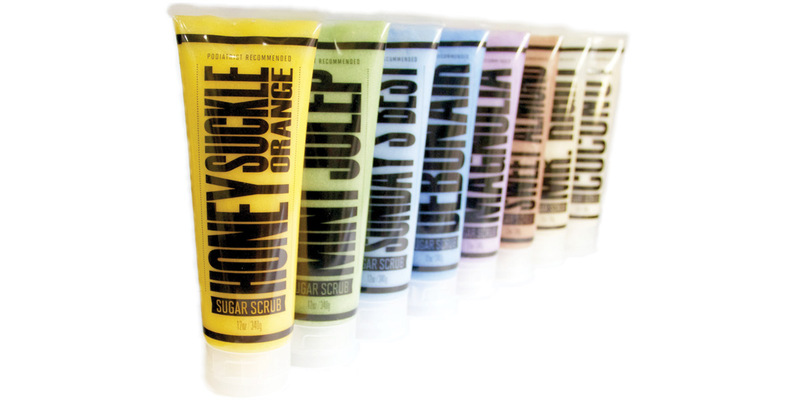 We are a natural handmade line of skin care that is foot-focused but can be appropriate for use over the entire body. We focus on preventative care- all with a southern charm. 2| Why do you make foot-focused skin care? 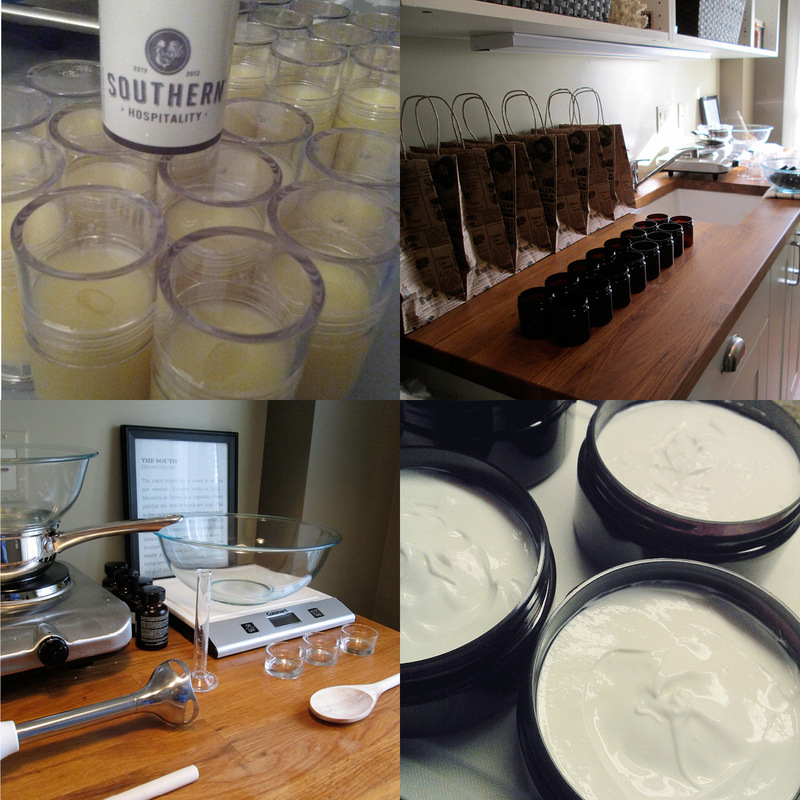 In the case of Southern Hospitality, our goal as makers is to fill a void that we’ve found in skin care. There’s not a whole lot out there, when it comes to products for the foot. The products that are available are very drab, boring, and lack branding. That’s why we want to make taking care of your feet a pleasure, NOT a chore. We are dedicated to making products that you will be proud to display on your nightstand, NOT hidden in your medicine cabinet. 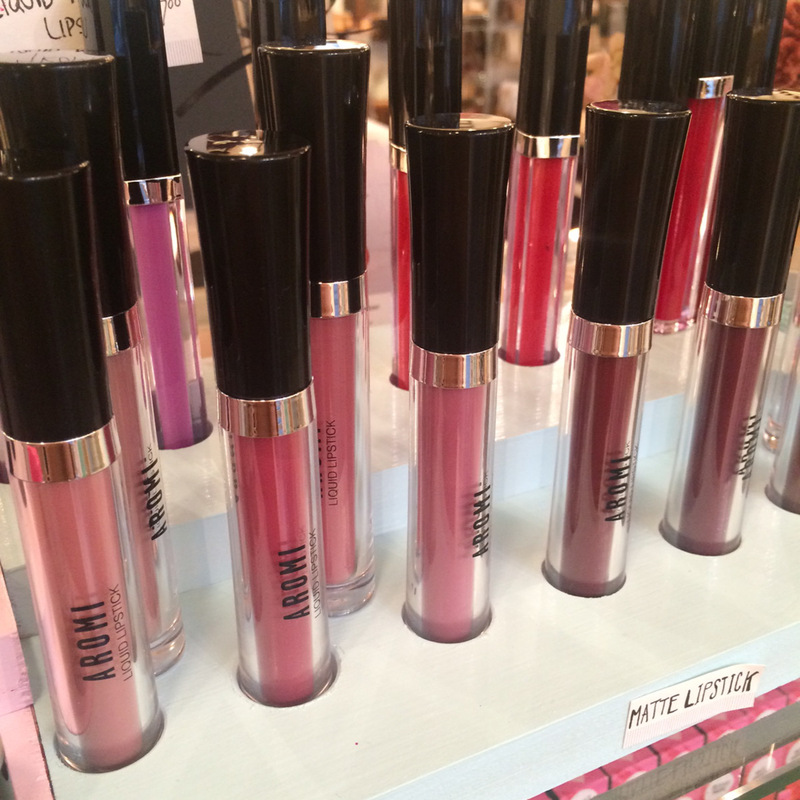 We want to create a world where there’s an array of products available from head to toe- with emphasis on the TOE! 3| Why is good footcare so important? Your feet do so much for you but are often an after thought in terms of care. So much so that they are not thought about until there’s an issue. In the same way that we practice proper dental hygiene to care for our teeth or exercise for a healthy heart, routine footcare can greatly reduce chances for foot problems. 4| What do you recommend as a good footcare regimen? Soak your feet to relax your muscles, draw out toxins, and moisten the skin. Next, exfoliate your feet giving special attention to the heels and callused areas to remove unwanted, excess skin. Then followup with a moisturizer, to make your skin healthy and supple. 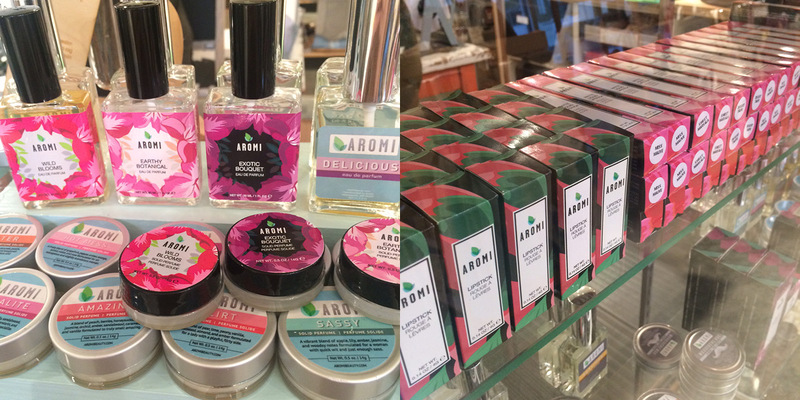 5| How did you go about choosing your scents? 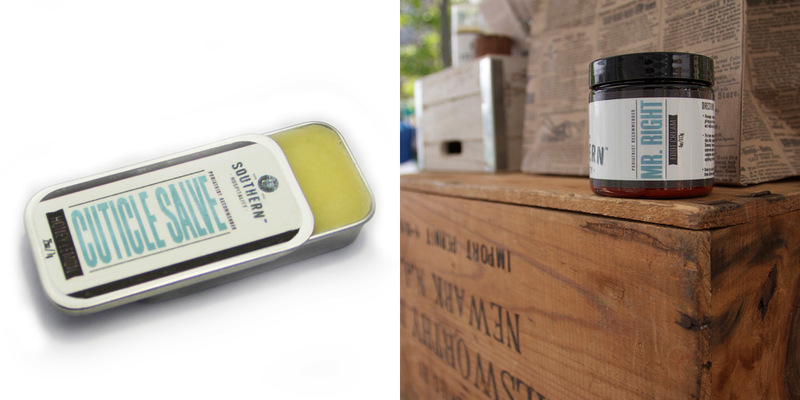 We wanted to maintain a southern theme with everything, including our scents. 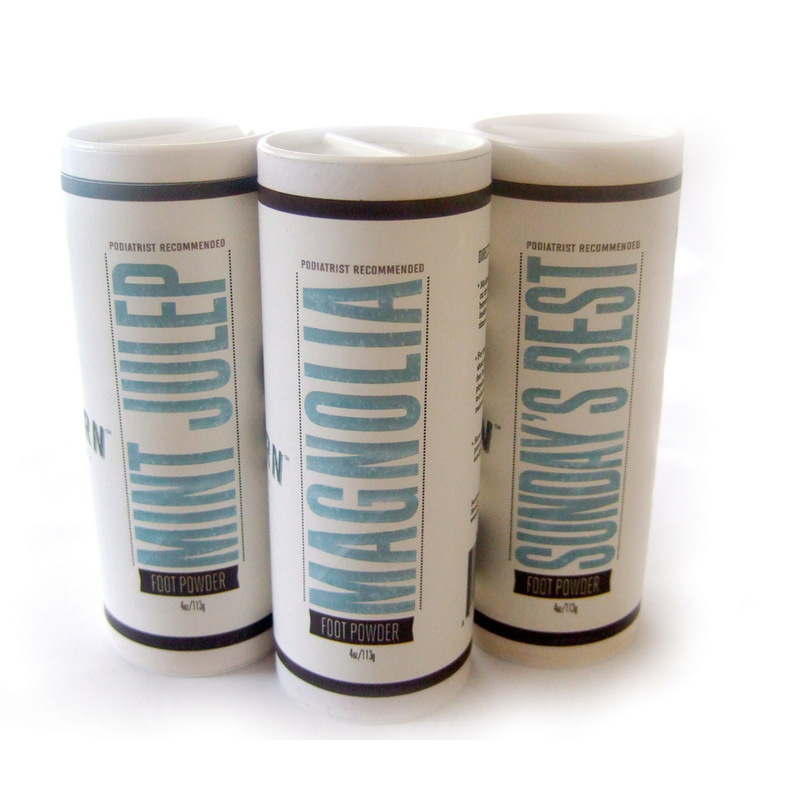 So, names like mint julep, magnolia, and Georgia peach were absolute must-haves. 6| What do you love about your job? As a podiatrist, I have such an appreciation of how important of a role that our feet play in our day-to-day lives. However, our feet are often such a neglected- and forgotten- part of our bodies. In the same way that we exercise and eat right to take care of our hearts or brush and floss to care for our teeth, we should also provide the same routine care for our feet. 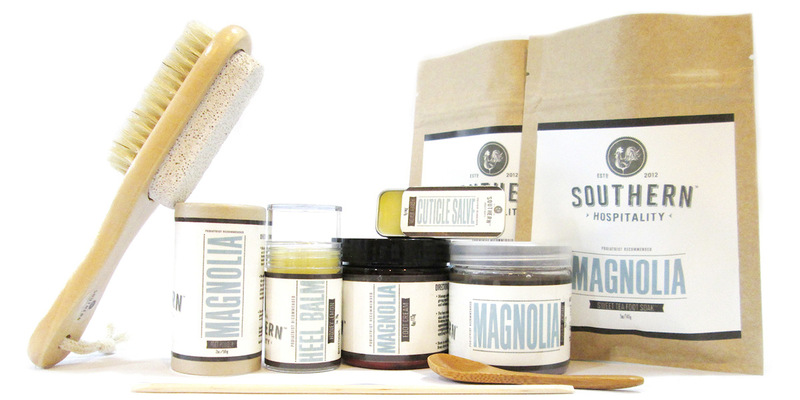 The rewarding part of running Southern Hospitality is bringing awareness to preventative foot care through quality natural beauty products and thoughtful branding. 7| Was being a maker always your plan or was there an “aha” moment? It all started as an idea while in medical school in 2007. During my clinicals, I noticed that a lot of my patients were diabetics that had dry and damaged skin. So I figured I could come up with some sort of foot product to help my patients. I started researching ways to create a foot cream–one that was natural without all of the harmful ingredients, yet still effective. Then the Missus asked, “Why do all of the foot products look so boring and medicinal?” So true! Our feet are so important yet the most neglected part of our body. 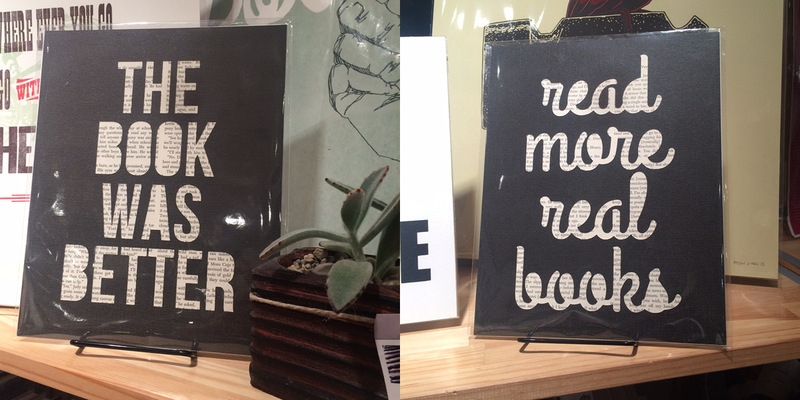 And the products on the shelves seem to reflect that way of thinking. That’s when we set out to change the face of foot care products. 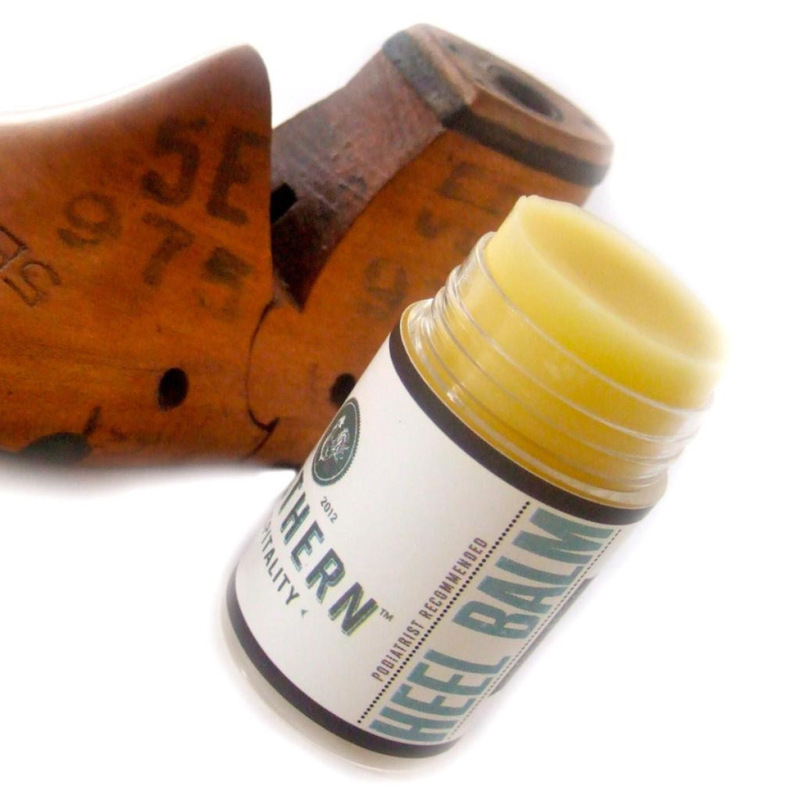 One foot cream turned into an entire line and Southern Hospitality was born! 9| If you could swap lives with another artist and live as them without anyone knowing that you were really you and not the other person, who would that person be? Stevie Wonder. For someone to be so accomplished in something like music and to not have sight, really is awesome! Knowing that an object is made by hand gives it that feeling that it was made with love. It’s like that object is coming straight from the maker’s heart. Quinton: I spent most of my childhood in Florida, but I do not know how to swim. Krystle: I teach violin to kids, but I am often mistaken as one of the kids. -We spent the first 2.5 years of our relationship being long distance. One of us was in Illinois while the other was in New York. If the idea of taking some time out to pamper your feet sounds appealing to you, you can shop their full line of products right here at Homespun. Check them out online, too, and stay up to date with the latest SoHo happenings! You’ve seen the gift baskets. 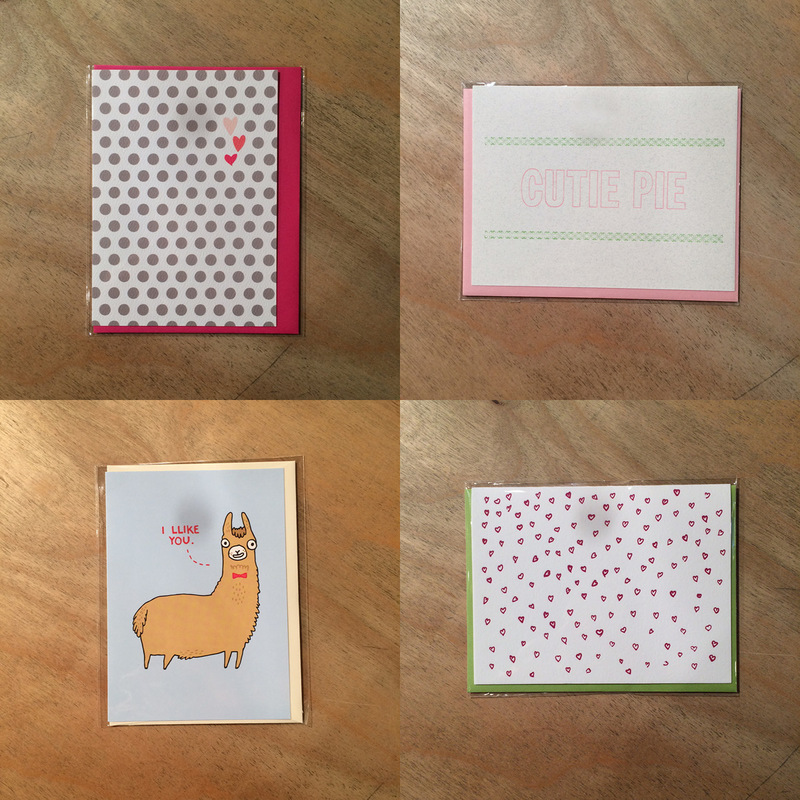 You’ve seen amazing handmade gift after amazing handmade gift. 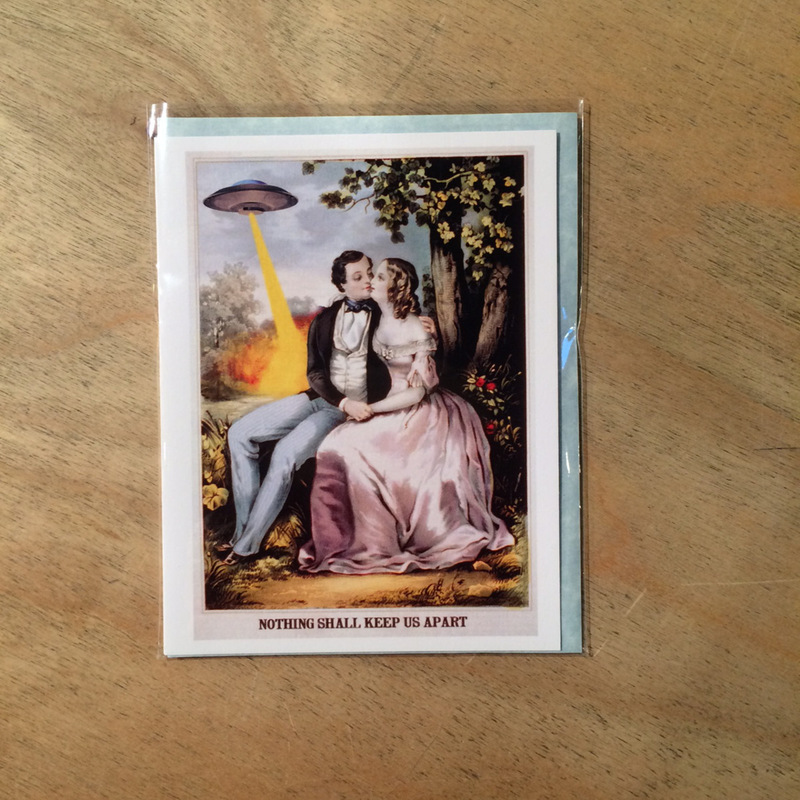 But have you seen…the CARDS? This Week at The Shop it’s all about variety. 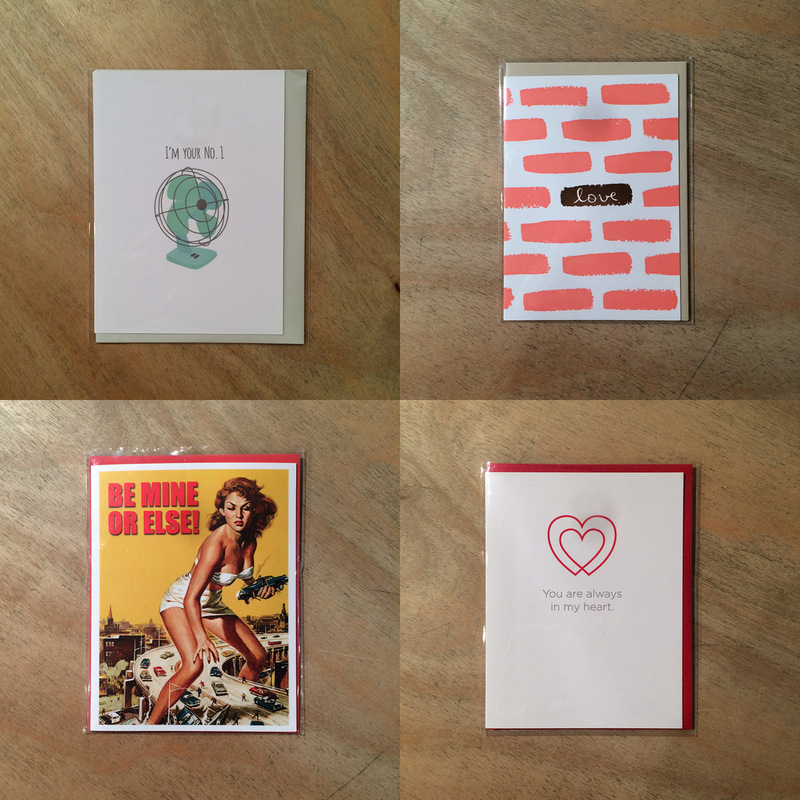 Valentine’s Day card variety, to be exact. 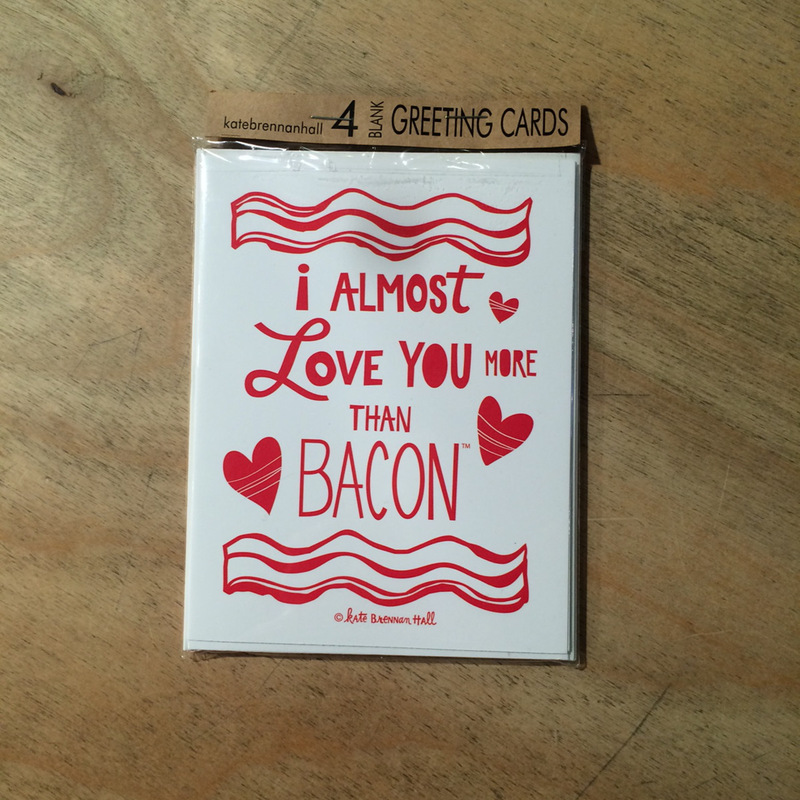 Valentine’s Day is not the day to be generic. This is a chance to consider the unique, the special, the extraordinary in those closest to us. So let’s not buy just any old card. 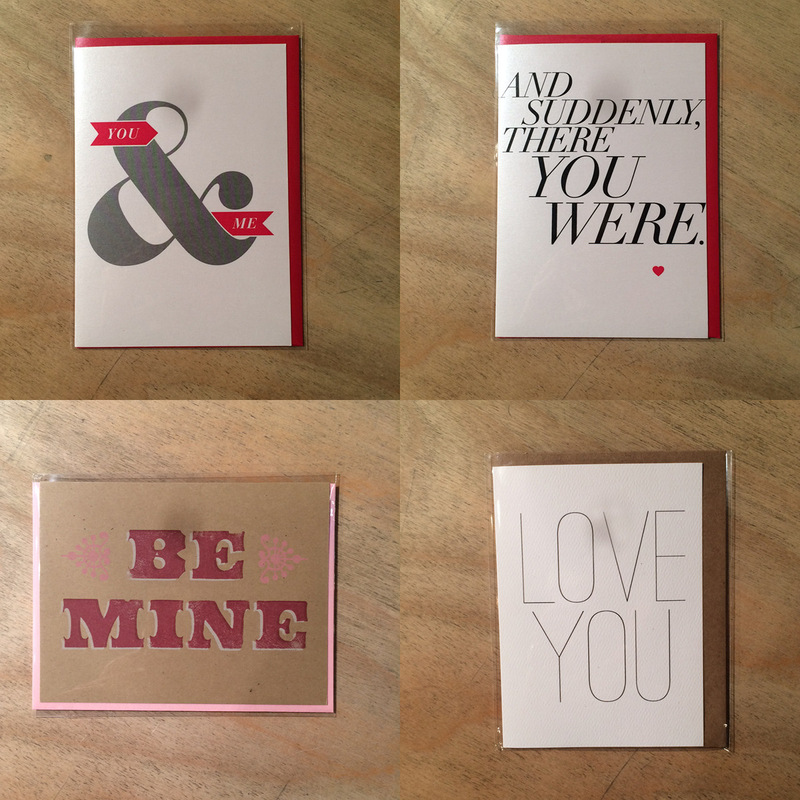 We have such a large selection here, you’re sure to find something that speaks directly to your heart(s). One of these beauties paired with a beautiful handmade bouquet is sure to please. Artists listed clockwise from top left. 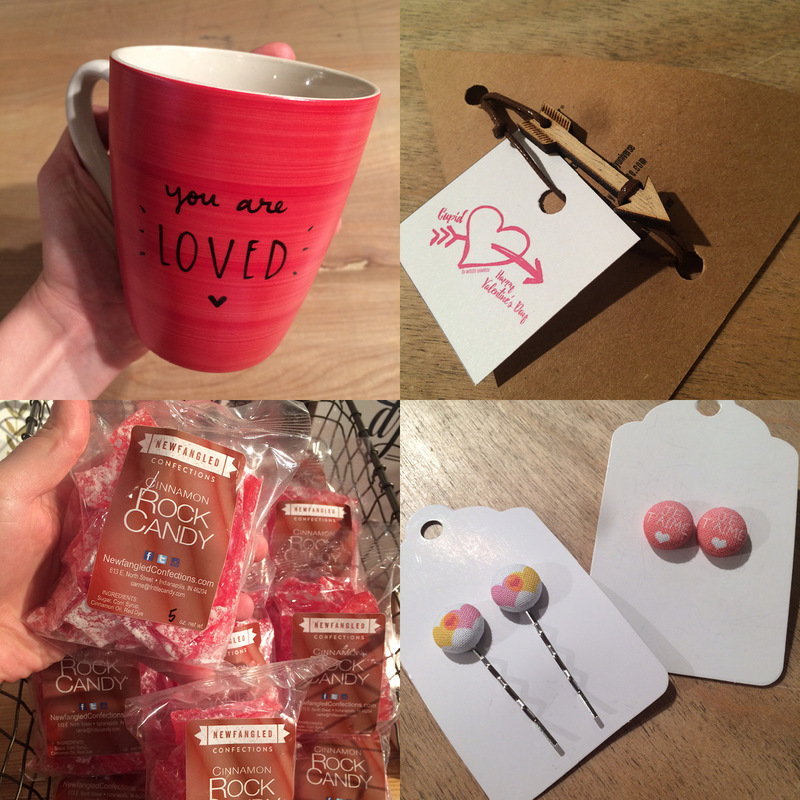 Homespun’s Local Love Event: Thursday, February 11th: 8-10pm: Join us for a special after-hours event where you’ll find just about everything your sweetheart might desire from some of Indy’s best businesses including jewelry, chocolate, flowers, and wine. 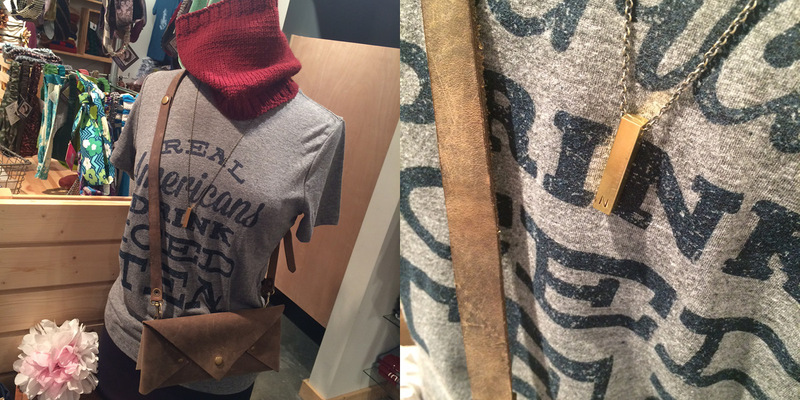 Plus, we’ll give you 14% off your purchase of $30 or more during the 8-10pm event. Gems by Salame Jewelry Designs will be on hand for a special Pop-up Jewelry Bar, Lisa Cunningham from Mass Ave Wine will be sharing wine recommendations that will be conveniently available for purchase across the street in her shop during the event. Best Boy and Co.‘s Wayne Shive will be sampling his caramel and hot fudge sauces, florist Jacquelyn Nolen of Blue Flower Studio will have several of her gorgeous floral arrangements and we’ll have The Best Chocolate in Town‘s most popular goodies, ready to impress your sweet’s sweet tooth. Workshop: iPhoneography: Sunday, February 21st: 2-4pm: If 2016 is your year to learn a new skill, we’ve got the perfect opportunity. Learn how to utilize your iPhone’s camera features to their maximum potential in this iPhoneography workshop with Rana Salame, our product photographer extraordinaire. Students will learn basic photography techniques like composition and lighting as well as how to use effects to enhance images. Participants will edit photos in the VSCO Cam app to make images more creative and visually appealing. Once skills have been covered, the group will hit the streets of Mass Ave to test out newly acquired techniques. A roundtable discussion will follow to study images and next steps to continue snapping like a pro. 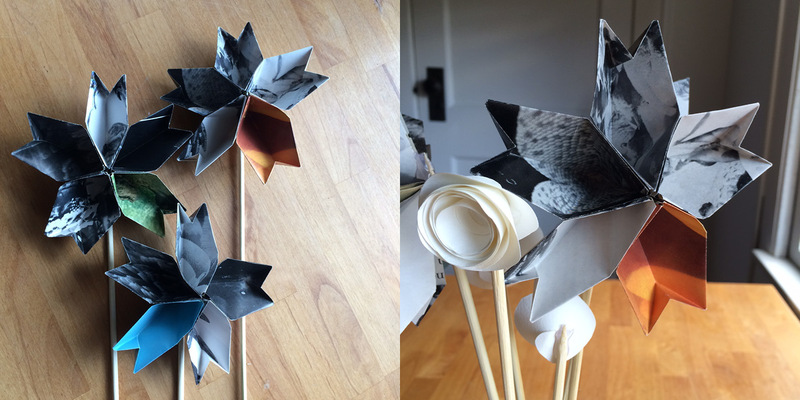 For this edition of How-To, I’m making two different kinds of flowers. 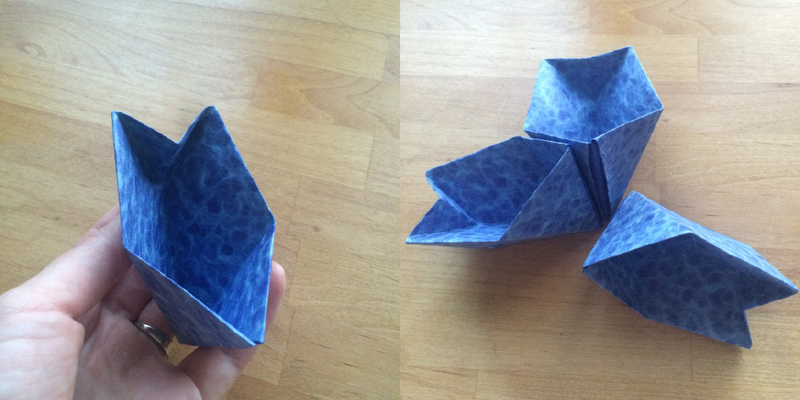 One is officially “origami” the other one is a free-form papercraft called a rolled flower. 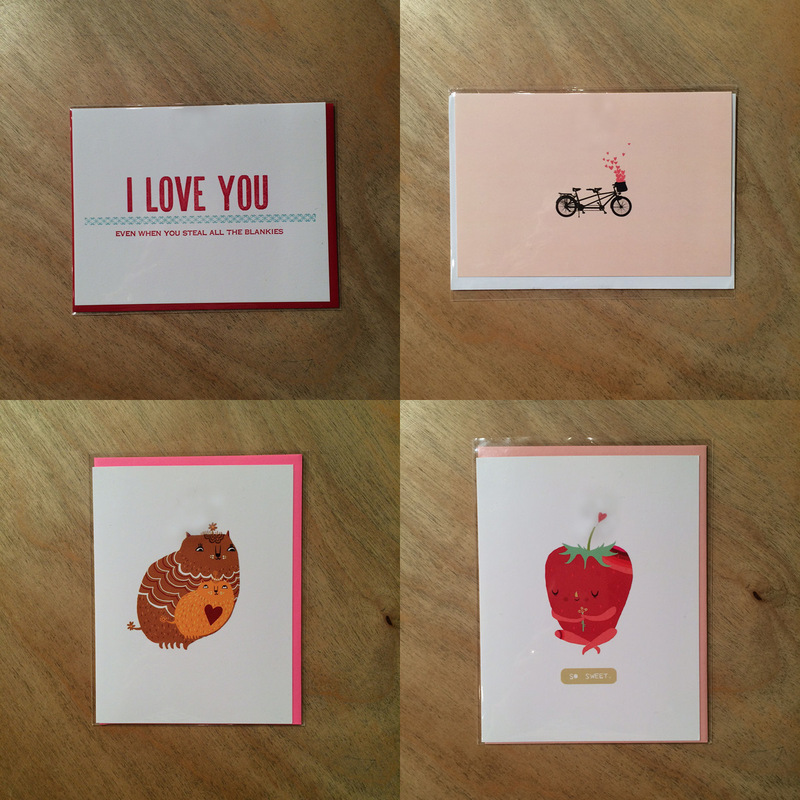 They’re both beautiful, really fun to make, and a very unique Valentine’s Day surprise for your sweetie. To make things a little more interesting, I’ve gotten creative with my choices in paper. 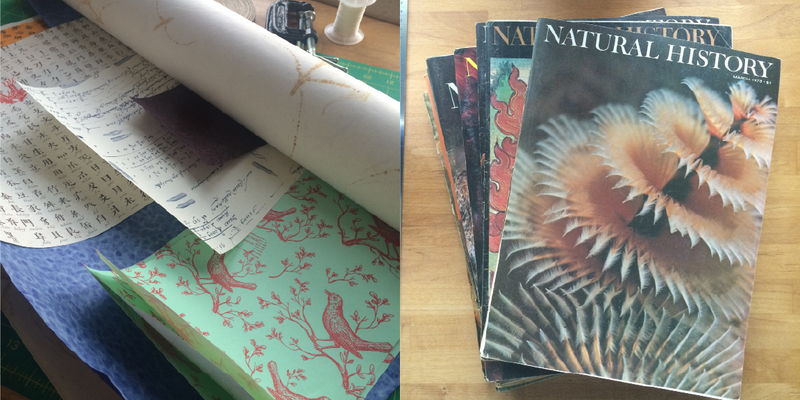 I sourced paper from old magazines, printed out photos on cheap printer paper, and used a variety of patterned papers. 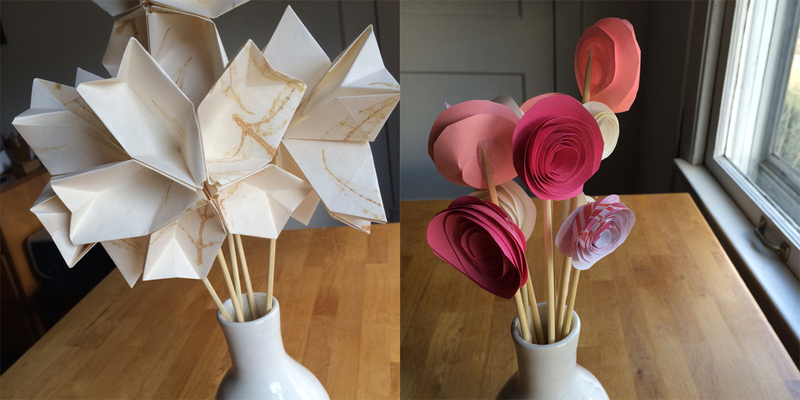 For the origami flower, once folded, you could even write a special note in each petal creating an interactive gift. Is it a scavenger hunt? A list of things you admire? Money tucked inside? Hey, every body loves some cold, hard cash. 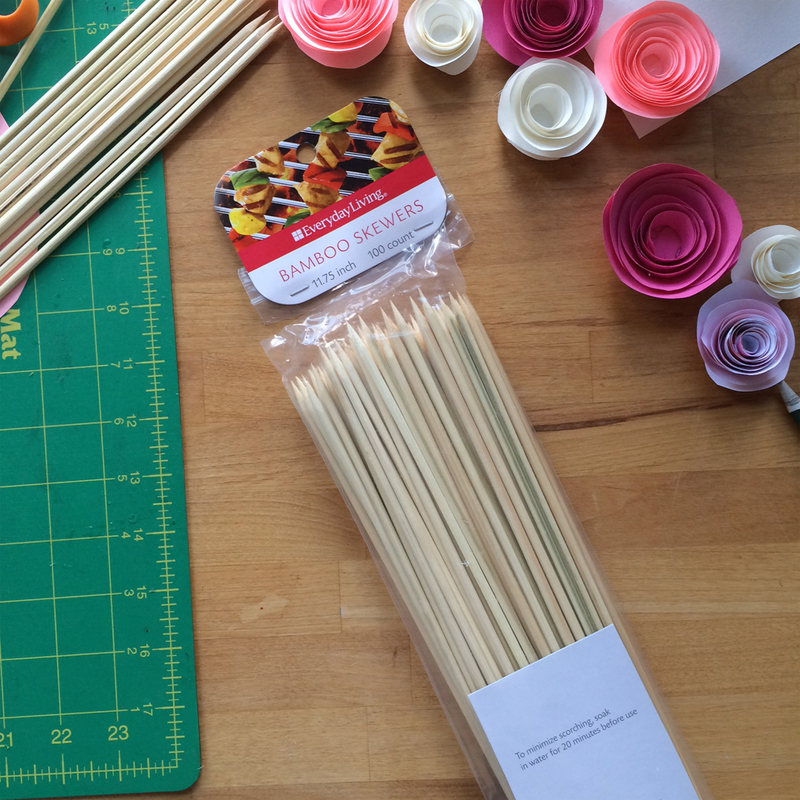 For both of these designs I’ve used kabob skewers for the stems. These are the perfect length, durability, and price and easily procured at your local grocery. 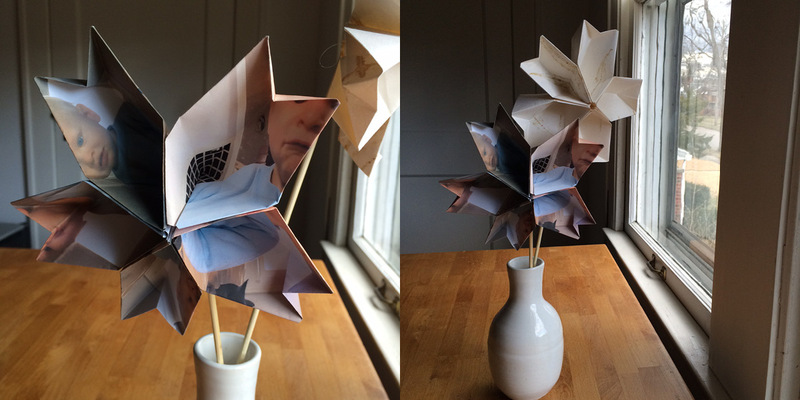 I found the pattern for the origami flower from www.origami-instructions.com. They have many, many more designs available as well as some video tutorials, if you’re feeling inspired. I started by selecting pages from the magazines in complementary color arrangements, combining sets of papers as I saw fit. Each petal uses a 6×6” piece of paper, and each flower has five petals. Lay your paper with the side you’d like to be showing down. This is the side of the paper that will be showing on every facet of the petal once it is complete. Step 1: Fold in half diagonally and open back up. Step 2: Fold each half in half and open back up. Step 4: Fold each half down diagonally, as shown. 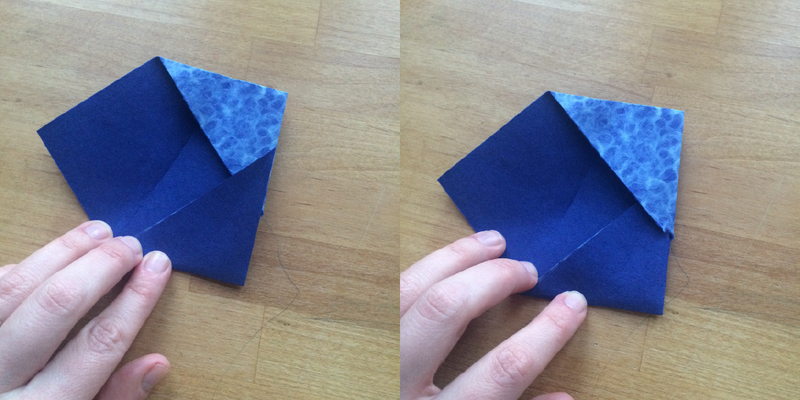 Step 5: Fold in half, keeping your folds on the outside, as shown. 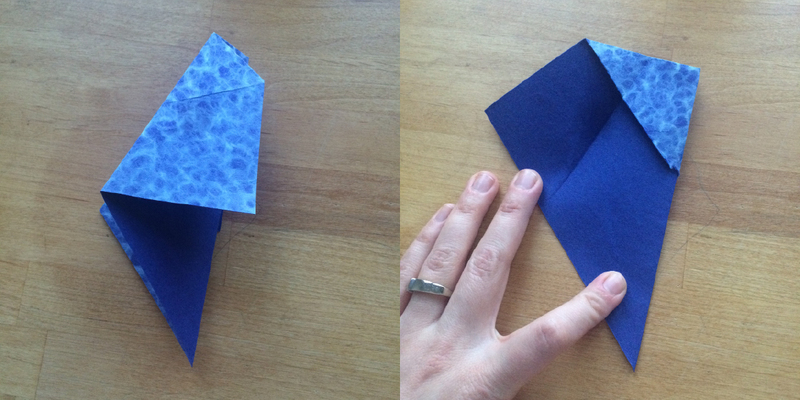 Step 6: Open the fold to the left. 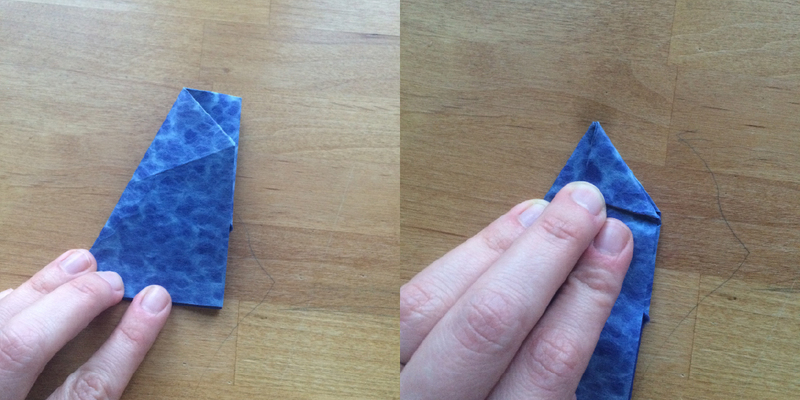 Step 7: Fold up the bottom tip and tuck into the pocket. Step 8: Fold the left side back down. Your paper will already have a fold here, so this will come naturally. 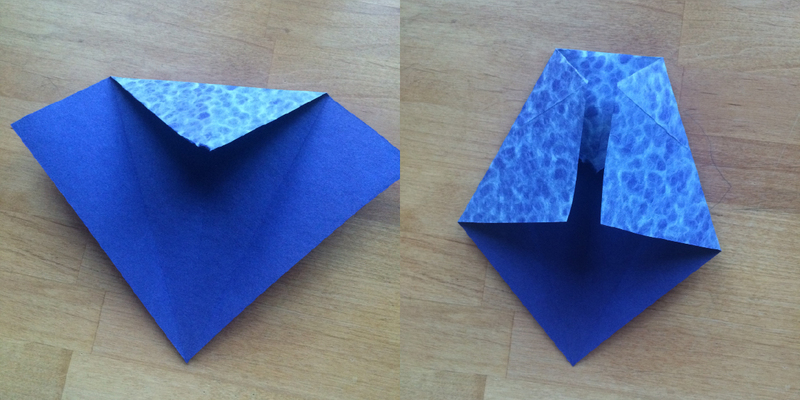 Step 9: Fold the top corner back and forth to create a flexible fold, returning it to its original position. 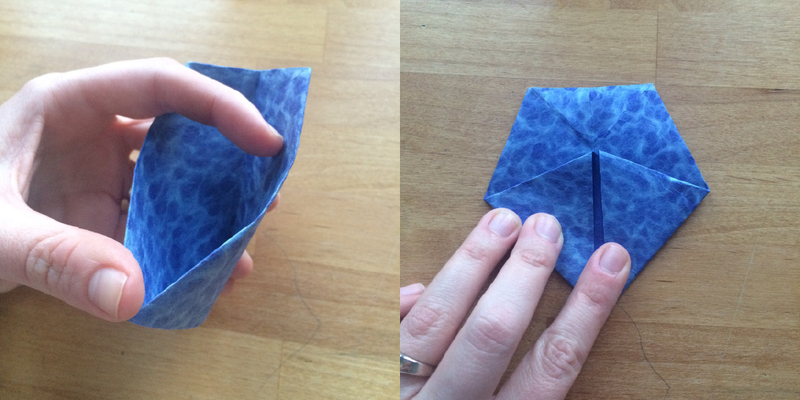 Step 10: Rotate your paper to the right, and open it up to look like a little boat. 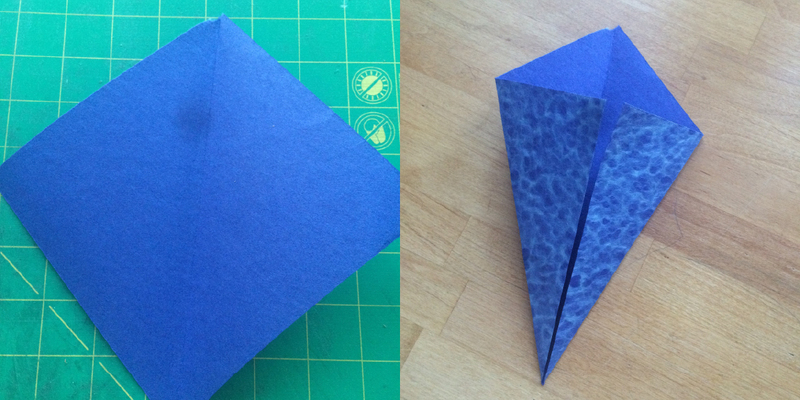 Step 11: Keep opening and fold the bottom all the way up and flatten. Step 12: Open back up, and reverse the top tip so it is folded in. You have now completed your petal! Now you get to do it four more times. 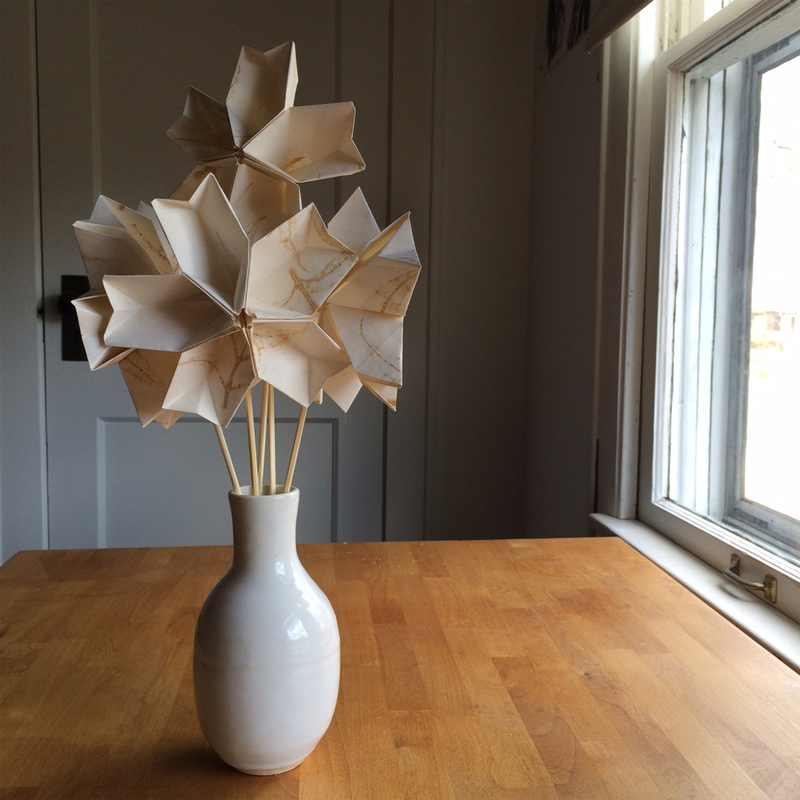 Once I completed my first few petals, I challenged myself to see if I had the steps memorized. It only took one flower for me to be proficient, and then I was off! Finish using a hot glue gun. 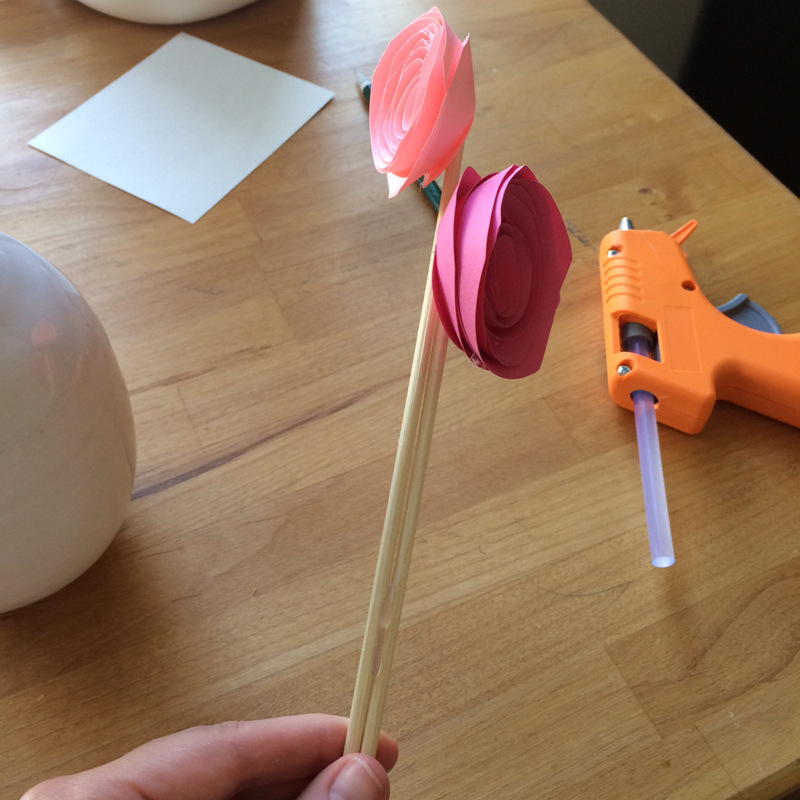 The glue gun is helpful because it dries so quickly, you won’t be stuck holding a bunch of petals together and waiting. 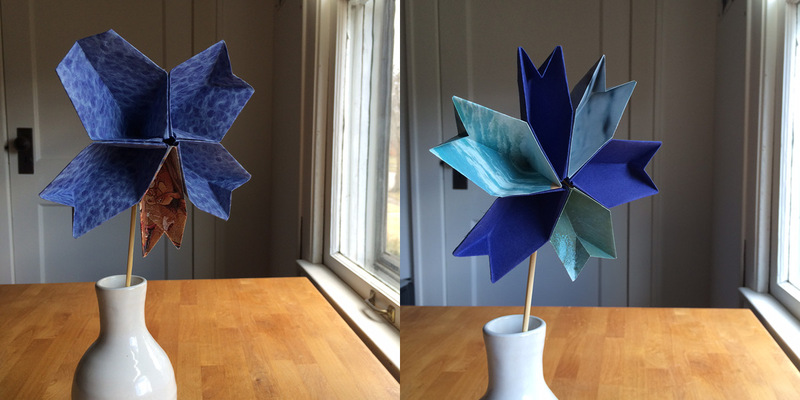 The flower on the left has an accent petal made from a vintage book page. Because of the difference in paper thickness, this one turned out to be a little disappointing. The flower on the right worked out well, however this was my attempt at a six petaled flower as opposed to five, and the petals got a little bunched. I LOVE how these turned out. All the petals are from vintage book pages, four from black and white photos and one from a color photo. 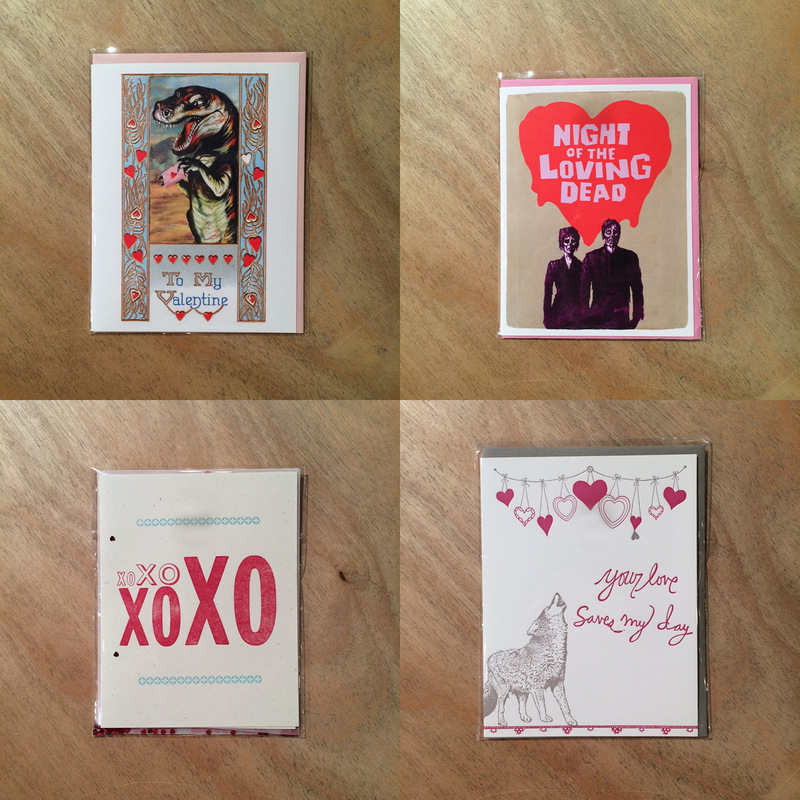 They’re also smaller, folded from 5″ square paper. This flower is made from photos. I printed them out at home on regular printer paper so it would be easy to fold. I think it turned out really cute! If I made another one, I could plan better placement of my son’s face so that it wasn’t folded. I’m sure there are so many other creative ideas for this flower. Please share your creations! This is a really simple technique with a striking outcome! I would recommend against using thicker cardstock type paper as it is more difficult to roll without folding, other than that, the sky is your limit! I especially love the look of solid, monochromatic bunches. 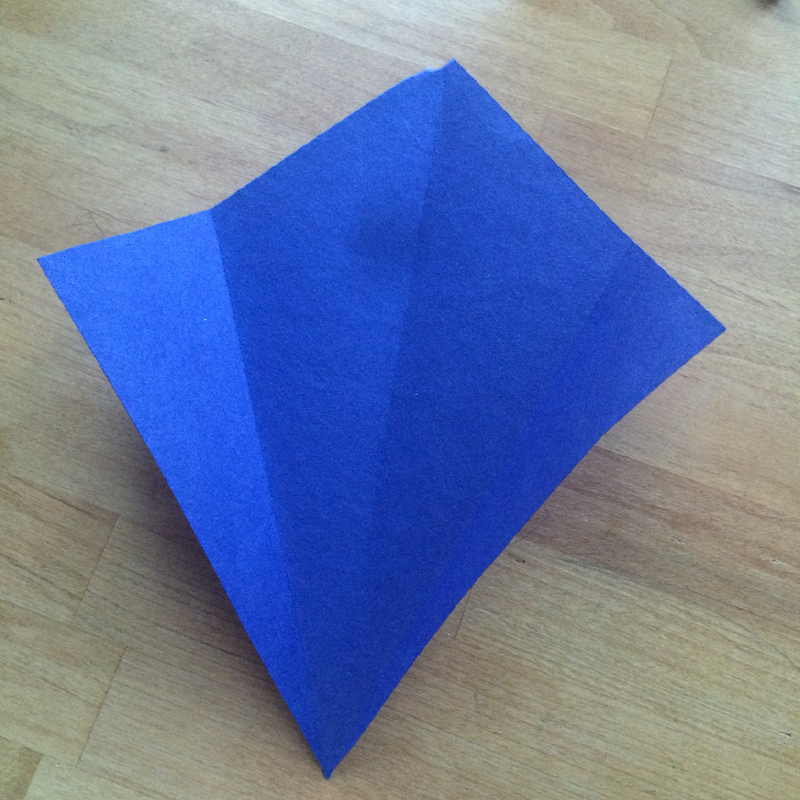 Again you will start with a square shaped piece of paper, roughly 6×6″, but you can experiment with many sizes. 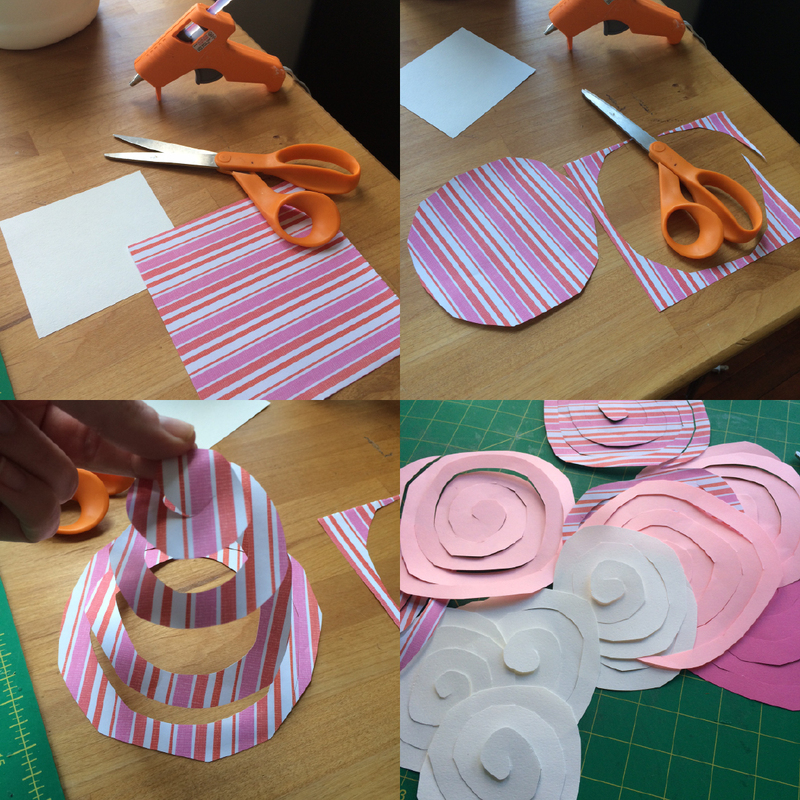 Cut the paper into a circle, then cut a spiral into the paper. 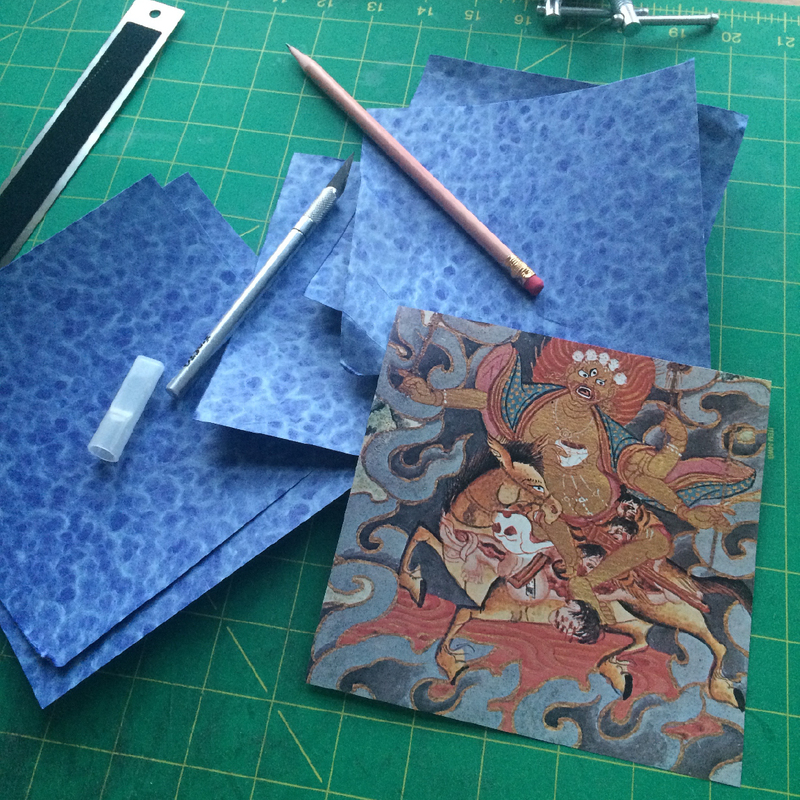 I cut around using about a 1/2″ thickness. Truly, this is a free-form flower, so any inconsistencies will add to its charm and give it more depth and visual interest. Starting from the outside of the spiral, wind the paper around a pencil. You can continue with the whole spiral this way, however I found it easier to get started using the pencil, then slide it off and just use my fingers the rest of the way. 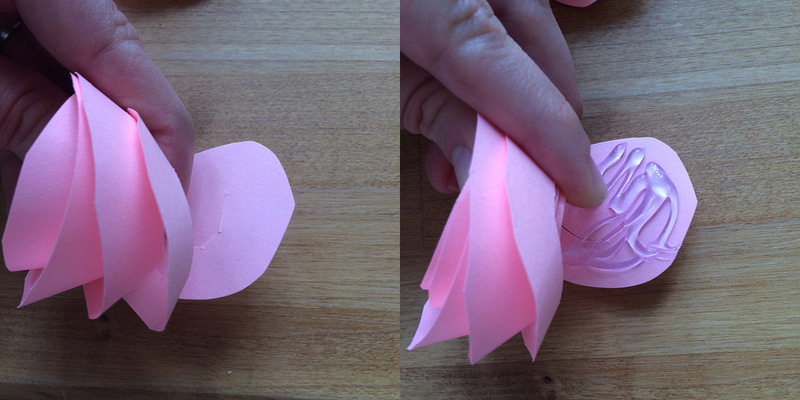 When you can’t roll anymore, there will be a round bit of paper left onto which you will glue the flower. 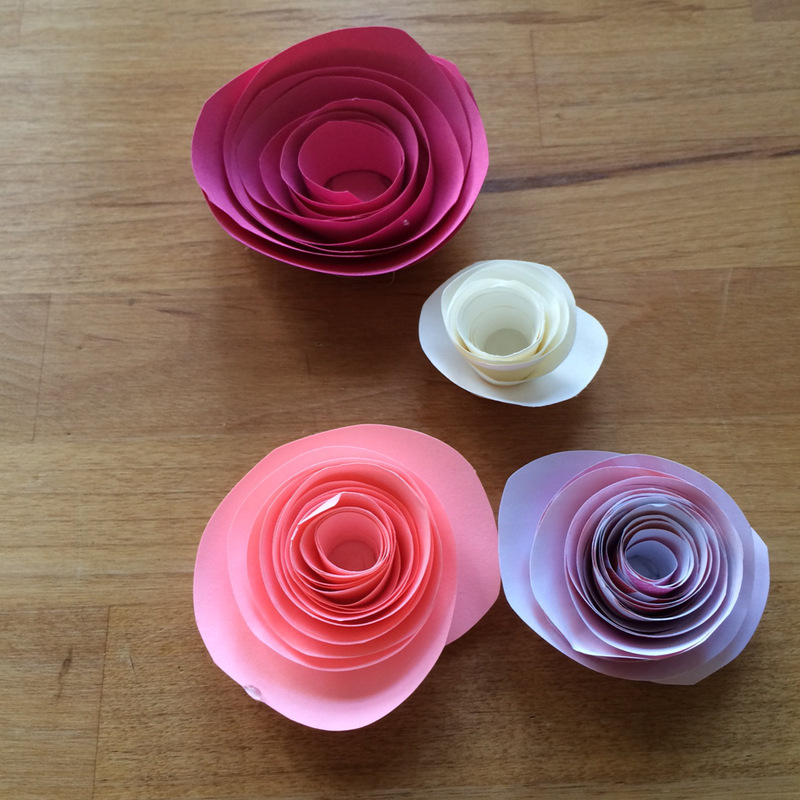 Use the unwound paper as a base for what will become your flower’s petals. 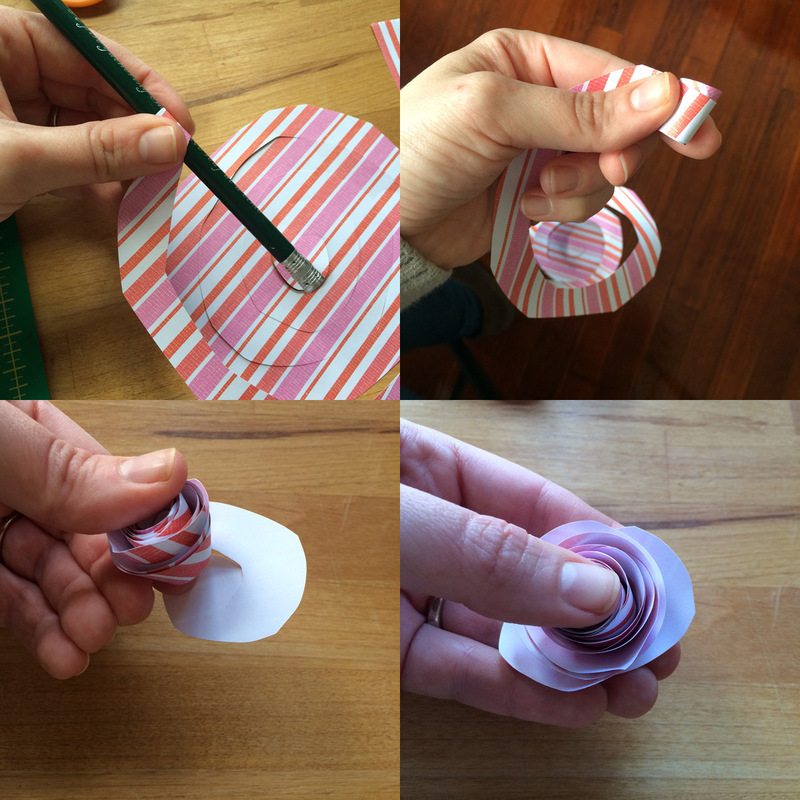 Let your spiral unwind a bit, loosening up the petals and making a larger flower. 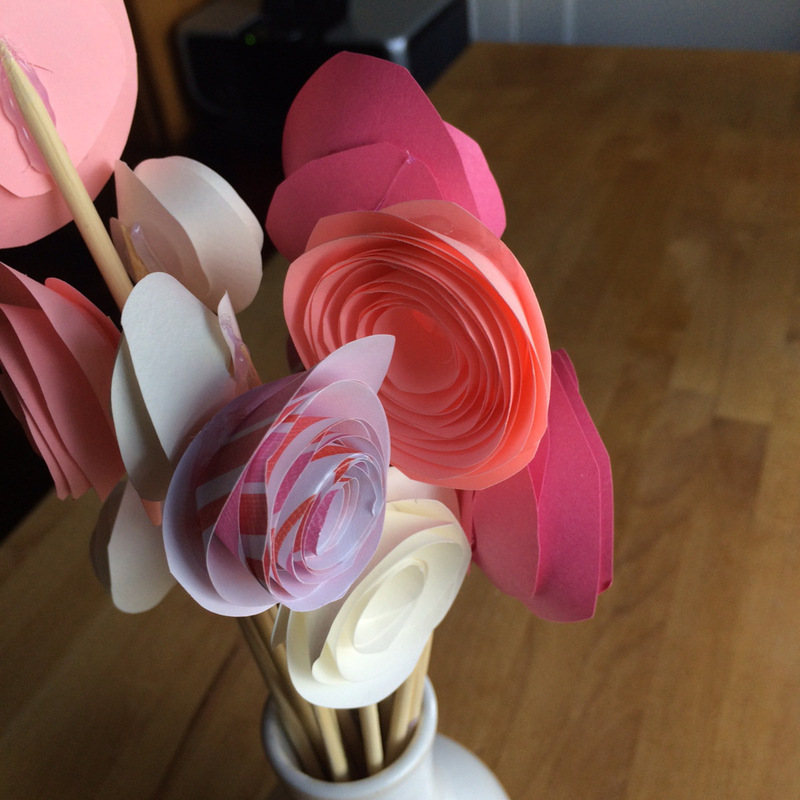 Use a hot glue gun and quickly glue it the petals to the base. Good luck not burning yourself. To aide in the aesthetic appeal of my finished bunches, I glued some of the flower stems together, like this. 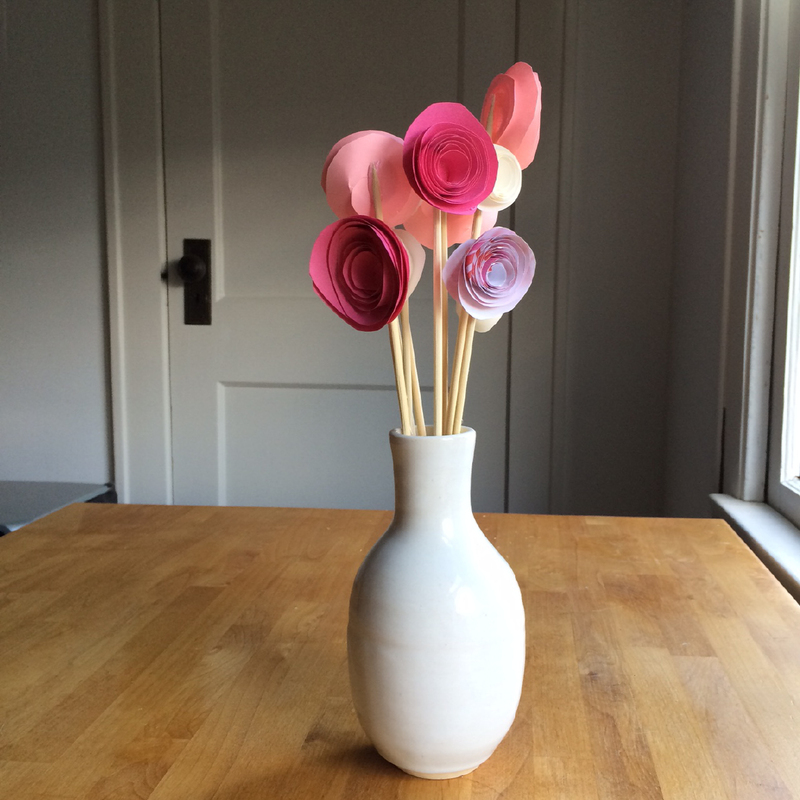 I also broke off the ends of some of the skewers to make some flowers shorter than others. I hope you get a chance to do something special with someone this Valentine’s Day, even if it’s just your cat (who is very special, indeed). If this post has inspired you, please post photos of your creations in the comments! 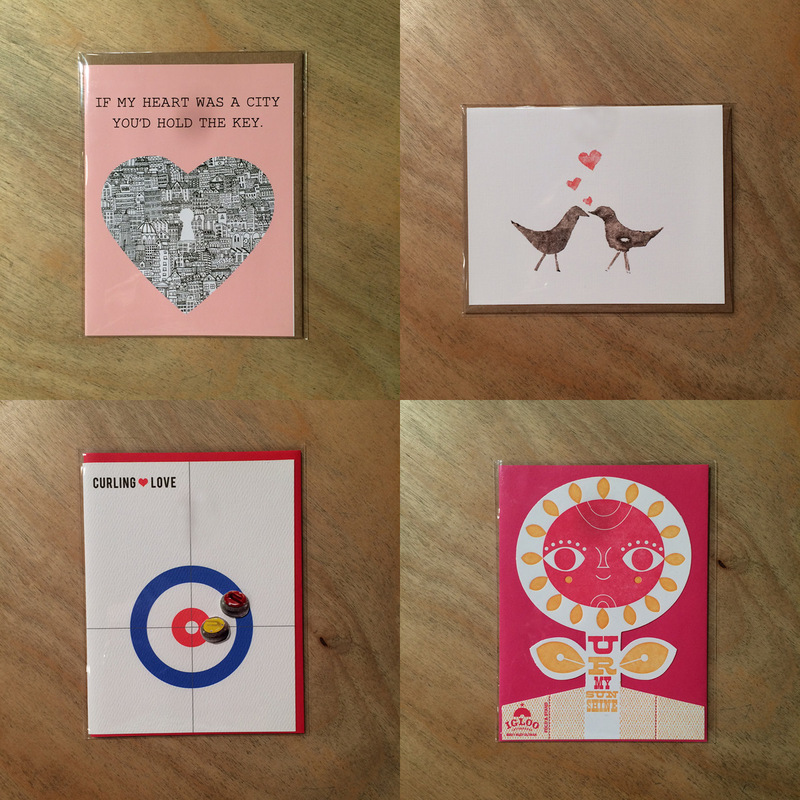 There are two fun things coming up this week: this Friday just so happens to be the first time Friday comes in February, so that means you can come here between 6 and 9pm, grab yourself some delicious snacks, and take in some truly exquisite handmade art by Death Bot Manufacturing in our mini gallery. Then on Saturday, The Onyx Exchange will be here with their pop-up candlemaker bar just in time to concoct the perfect romanic scent for your loved one on Valentine’s Day. Whatever the reason, we hope you will make a stop in to see us this week! 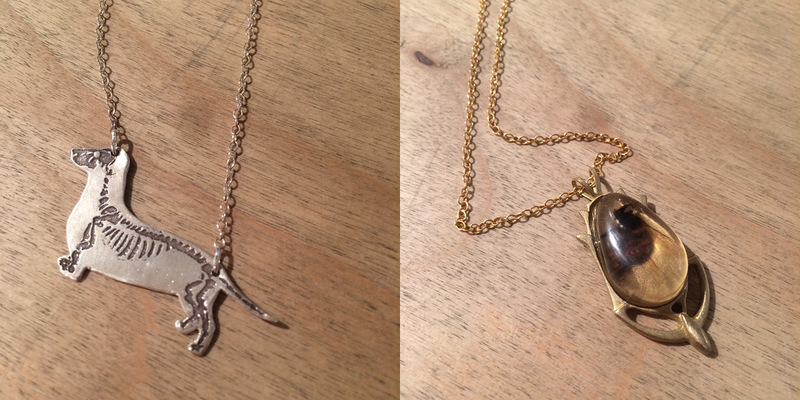 Beautiful new jewelry in from Larissa Loden. 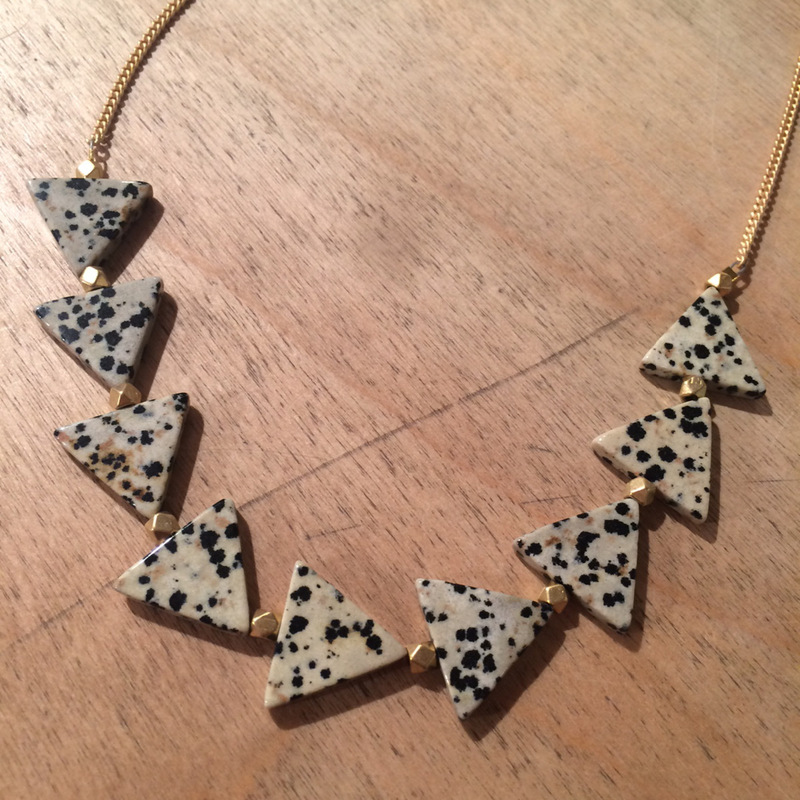 This new necklace is made of Dalmatian Jasper. 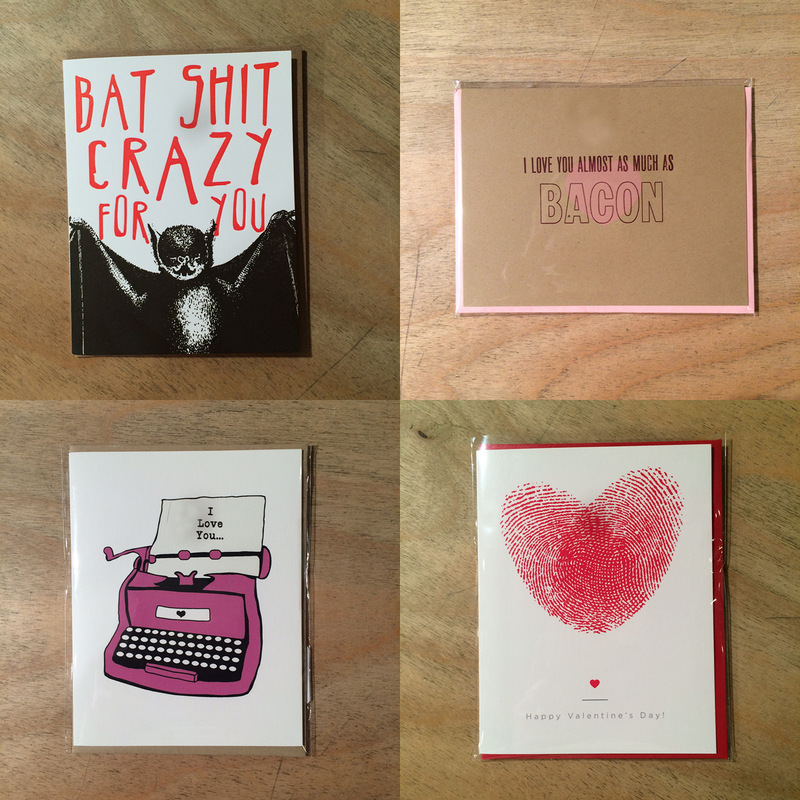 Heart banners from Red Bird Ink, new cards from Moss Love, and more new jewelry in from Larissa Loden. 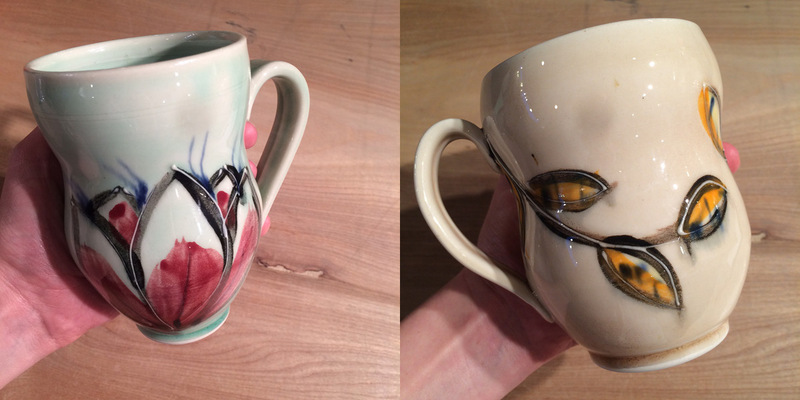 I’m considering adding a section to my “This Week” posts called “Just Now Noticing This.” We have so many beautiful things in the shop I never have time to savor them all, and these beautiful mugs from Sarahmics are some of those things. 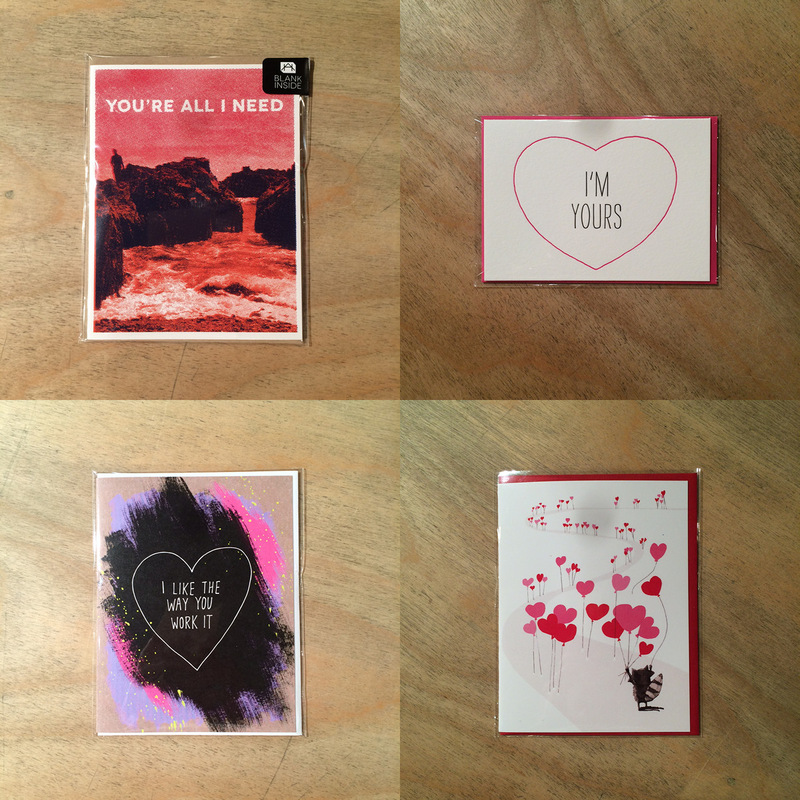 More goodies for your sweetie (or yourself!). Mug by Farizula Designs, leather and wood arrow bracelet by Woodly Universe, NEW cinnamon Rock Candy by Newfangled Confections, and adorable button bobby pins and earrings by Rachael O’s. Tee by Black Dog Print Company, cowl by Lindsay Street Designs, purse by LM Products and NSEW bar necklace by Larissa Loden (I love this thing!). 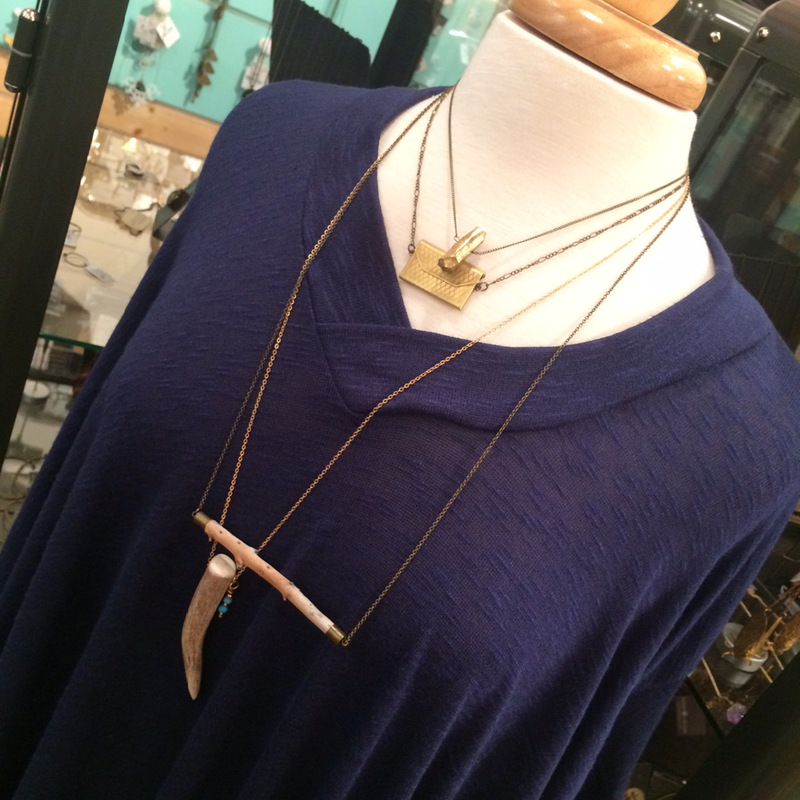 Beautiful flowey blue top by Victrola, paired with these beautiful layered necklaces by, from top to bottom, Salame Jewelry Designs, Astronette, The One You Feed, and Mountain Made. 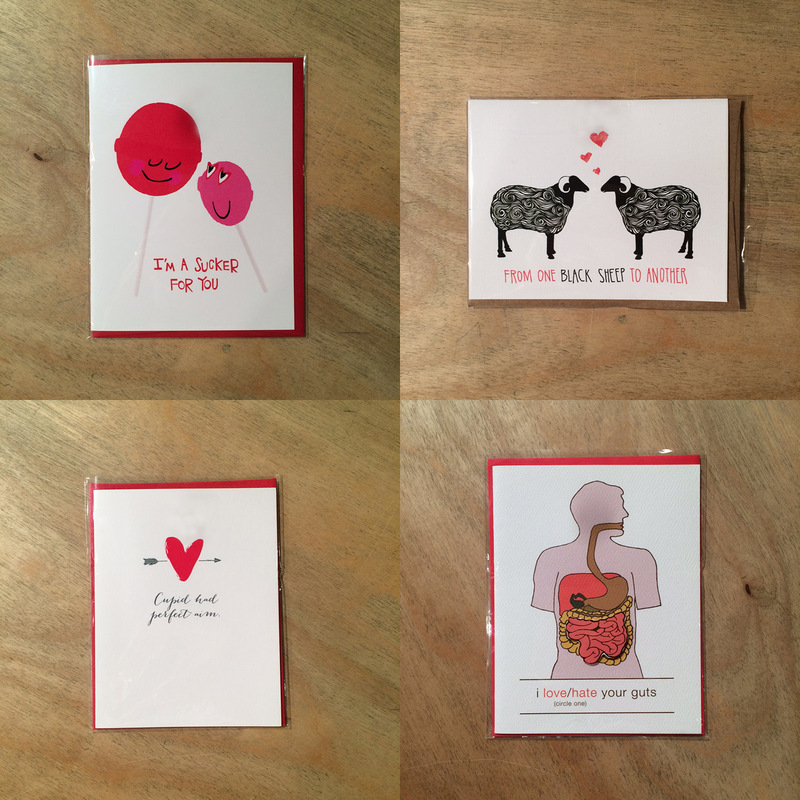 First Friday Celebration: Friday, February 5th: 6-9pm: Grab some delicious refreshments and take a look at our gallery space featuring Deathbot Manufacturing! 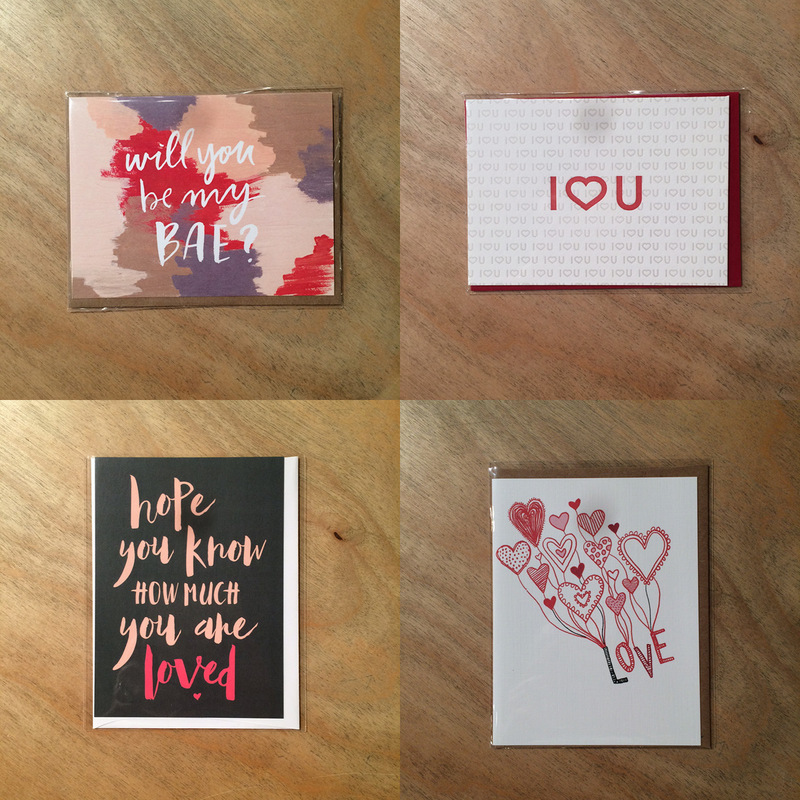 Candle Maker Pop-Up Bar w/ The Onyx Exchange: Saturday, February 6th: 11am-6pm: The Onyx Exchange will be here just in time for Valentine’s Day gifting! Stop in and create a unique 7oz. Lux Candle or 10oz. Wine Bottle Candle for your sweetheart (or for yourself!). Choose from 36 scents (or mix multiple) and spark some romance.